These days, a set of velcro straps across the top of your kicks just isn't enough to impress your sneaker freak friends. 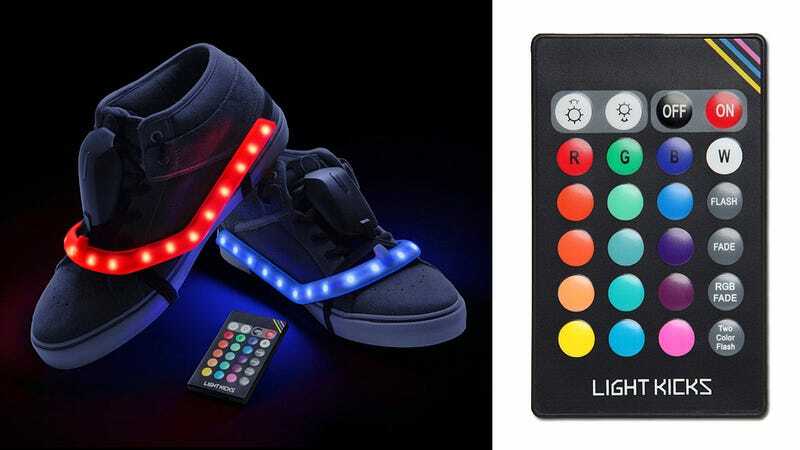 To guarantee you're the envy of everyone on your block, forget about dropping hundreds on the latest pair of Nikes—instead, strap a pair of these Light Kicks LED strips to your feet. Powered by six AAA batteries, they each feature a series of LEDs that can be tweaked to one of sixteen different colors using an included infrared remote. That's right, you don't even have to bend over to perfectly match your sneaks to your outfit.